If you’ve ever been on the second floor of our Indianapolis office, you’ll know that the phone rings a lot. More often than not, the Product Support team and I are answering what we call pre-sales questions to guide a customer (like yourself) to a decision before they spend their hard-earned money on a great piece of audio gear. Don’t worry; we’re not mad. We get it. We are audio nerds, audiophiles, music lovers, and musicians, too. Let us clear the air, however, on one of the most commonly asked pre-sale questions that the customer service team and I get asked on the daily; “What’s the difference between Reference and Reference Premiere?”. Our customers’ two favorite series of speakers, in my opinion, are the Reference series and the Reference Premiere series. Both are great speakers, great testaments to modern engineering and a nod to our company's heritage. I firmly believe Paul W. Klipsch (PWK) himself would be proud of both of these series of speakers. Let’s see what makes these two fan favorites so great, and maybe we can sway you to a buying decision before the day is over. The Reference series comes with aluminum tweeters and injection molded graphite woofers to give a broad and flat frequency response at the low price point that these speakers offered. These speakers are still able to produce ample amounts of clean, yet enveloping bass with a full midrange, yet smooth and open high end that is unmatched for any comparable speaker that you’d find sitting in a display next to it. If you’re looking to get that signature Klipsch sound that you’ve always heard about, but don’t want to take out a second mortgage, the Reference series is the ticket (wives of audiophiles everywhere rejoiced!). 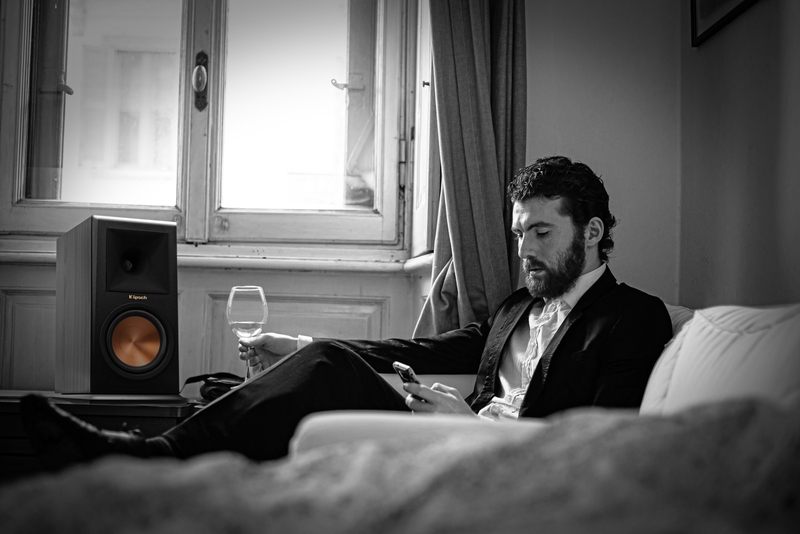 The biggest benefit of the Reference series is its price - you get a lot of power and performance for the money. Major big box retailers carry them and offer live demos as well. 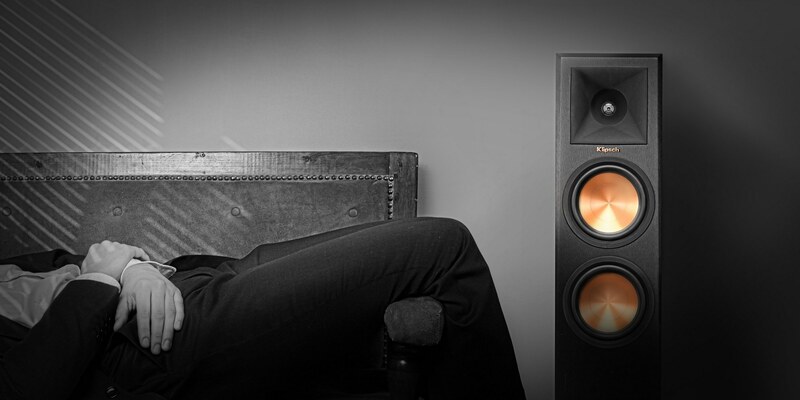 You can also purchase the speakers at Klipsch.com or any one of our authorized dealers. Okay, it’s affordable, but does it sound good? Well, of course, it does. It’s Klipsch! Bass fanatics will love the Reference series due to its front ported design on floor standing towers because it gives a more dynamic, musical and immersive experience from the speakers by venting the lowest part of the speaker’s frequency response to the listener. Reference speakers have presence and air. I think that the high frequencies in Reference speakers are not as damped as other speakers, they breathe life into music! There’s great balance in Reference speakers for the critical listener who wants natural music, sound, and movies that come alive and deliver an emotional experience. So, what should you expect in your listening experience with a Reference speaker? Expect vocals to have a great airy-ness in frequencies, guitars, and cymbals will cut through busy instrumentation and arrangements, and reverb trails will finally be audible, but not out of place. Some good reference tracks to hear the subtle nuances of Reference speakers are “Great Gig in the Sky” from Pink Floyd’s Dark Side of the Moon, “Neon” from John Mayer’s Where the Light is live album, and “American Beauty” from Drew Holcomb and the Neighbors’ Medicine. You will notice, however, that Reference Premiere speakers are more expensive than the Reference series, and they are worthy of the price, thanks to the higher end components and top quality construction. You’ll get titanium tweeters and our patented Cerametallic woofers on the Reference Premiere series. They also have two features that sonically set them apart from the Reference series and give them the perfect most transparent sound, the tractrix bass port located on the back of the speaker (save subwoofers), and the 90x90 hybrid tractrix horn lens. The features developed so that the speakers reproduce your music and movies with absolute fidelity and you get the widest and fullest frequency spectrum as possible. Once you listen to a set of Reference Premiere speakers, you’re going to be hooked. Trust me. Let’s look at the woofers first. They are made out of a material called Cerametallic, which is a unique process of hardened anodized aluminum sandwiched by ceramic layers. It gives the woofer a high amount of tensile strength, while still being well damped. This added strength means that the woofer can vibrate as fast and far as possible without losing any energy due to flex, which is a huge benefit because this also makes the speaker very efficient. Moving up the frequency spectrum, the new titanium tweeter on the Reference Premiere features a Linear Travel Suspension system which, guess what, minimizes distortion and improves transparency to the speaker's high-end frequency response. Since we have extended bandwidth capable woofers, the tweeters are not going to be as susceptible to distortion. That means we are getting the widest, flattest frequency response and the lowest distortion possible. 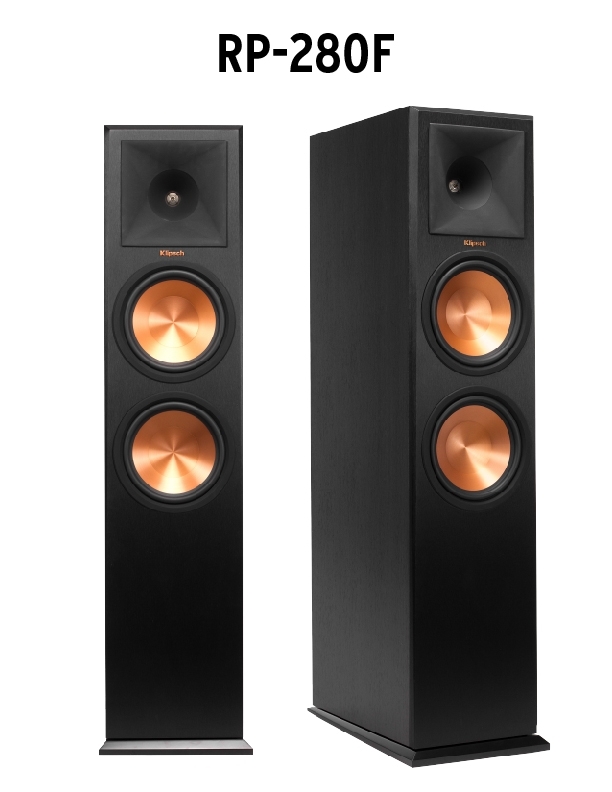 The new 90x90 hybrid tractrix horn around the tweeter is the best sounding 2-way horn system from Klipsch to date. Listeners will also notice a much more natural bass response and tone from any Reference Premiere speaker due to the tractrix ports. What horns do to high frequencies, in essence, is achieved by adding the tractrix port as a bass reflex tuning. Low-end frequencies can emanate from the port without turbulence, thus giving the speaker a deeper sounding and wider frequency response. Klipsch fans will notice the smooth baffle design on the Reference Premiere layout, as opposed to older Reference II speakers. Say, if we were comparing the RF-82 II to a new RP-280F, the baffle and motor board on the RF-82 II is a separate part which houses the woofers. The new baffle design on Reference Premiere ensures minimal diffraction from baffle reflections, ensuring that Reference Premiere is the most transparent series of Reference speakers Klipsch has made. 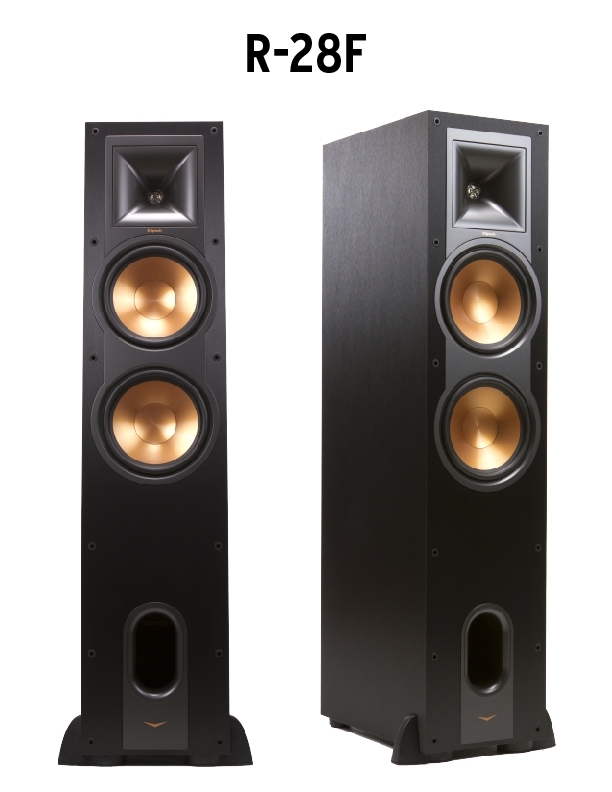 So, what should you listen for in a Reference Premiere speaker? I advise starting with a smooth canvas. Ensure that you have as flat tone controls, bass, treble, and as neutral of a listening environment as possible. When playing something for the first time, listen for three things: frequency balance, stereo imaging, and dynamic headroom. Reference Premiere speakers, with an adequate power source, should give a flat and wide frequency response with no particular bandwidth fighting for attention. Listen for how the bass guitar and kick drum blend, rather than form congealed mush. Reference Premiere speakers also have unmatched stereo imaging. You should be transported to the studio your music was recorded in, thanks to the excellent directivity and efficiency of the silicone-horn loaded titanium tweeters. Listen to how instruments have their space and the soundstage of a live performance is recreated. You can touch the instruments. Lastly, Reference Premiere speakers should have clear, dynamic response and headroom, thanks to their efficiency and low distortion components. You should get a great response from the heaviest double-bass and blast beat death metal jams, to the lightest piano, trumpet, and upright Jazz trios. Reference Premiere will take any and every kind of music and make it sound as amazing as it was when it was during production. Just like Paul W. Klipsch intended when he designed the first Klipschorn. ● Do I have the right accessories and power to support the speakers? We provide the RMS wattage for each speaker, so you know what your receiver needs to put out. Make sure you take the time to evaluate your decision before swiping the card or writing the check. The worst thing that can happen is that you unbox your system and find out that it isn’t a good match for your lifestyle or listening needs. Also, make sure you find a good demo setup. You can visit Klipsch.com/dealers for a complete list of authorized dealers and see who has gotten a system gassed up and ready for you to demo. The demo is the most important step in the buying process. You will end up kicking yourself if you don’t have a proper one. So that should cover it! Find something that fits your space, get a great demo that gives you chills, and purchase from an authorized Klipsch dealer. Making an informed decision will guarantee that you buy the best sounding speakers on the market today!